Insider Tip: Most individuals will be best served with the Aqualogix Black All-Purpose Bells (or Aquastrength Bells) and Blue Maximum Resistance Fins. It is our most popular bundle. If you have a large amount of muscle mass or tend to exercise at a slow to moderate tempo then the Aqualogix Blue Maximum Resistance Bells could be a better fit. Remember the faster the tempo the more the resistance builds. 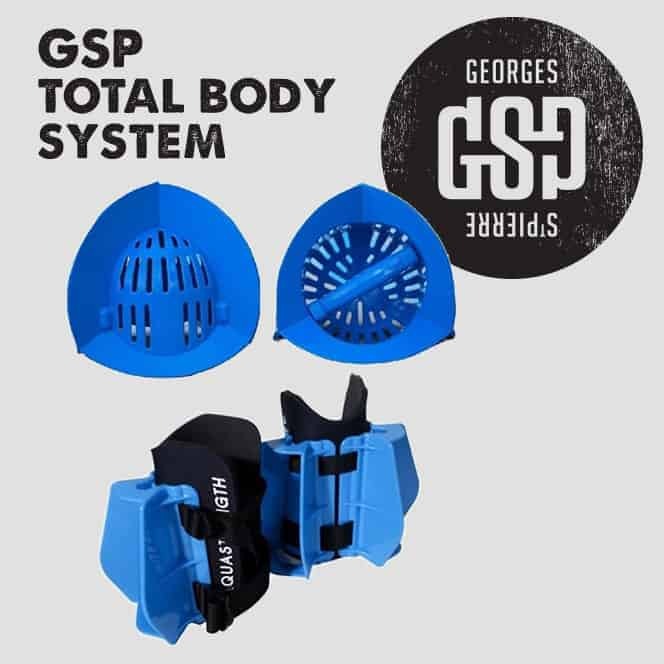 The GSP Total Body Bundle – Combining the bells and fins together will give you a dynamic full body aquatic workout for fitness and conditioning and also a fuller range of motion, stabilization and coordination for injury recovery and rehabilitation. The bells give you a dynamic hi intensity low impact cardiovascular aquatic workout while engaging the upper body, arms and core that strengthens, builds and tones the muscles The lower body Fins effectively tone, sculpt and strengthen your core muscles, legs and gluteal muscles. While you will see the barbell in some of GSP’s program exercises, you can skip or alter the movement with bells alone. 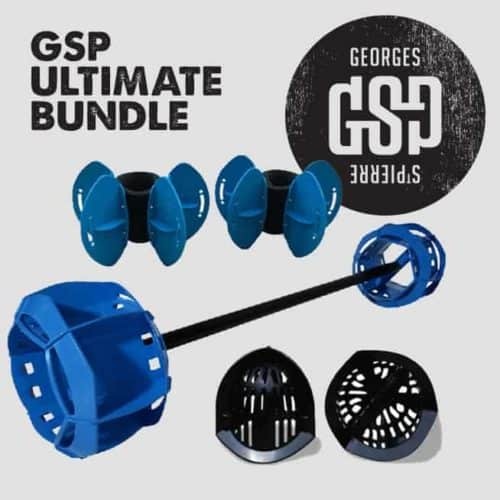 If you want to include the barbell, please view the GSP Ultimate Bundle. Mix and match between bell and fin offerings of both Aqualogix and Aquastrength for your perfect set. All Total Body Bundles come with printable Hydrorevolution Total Body Workout program. 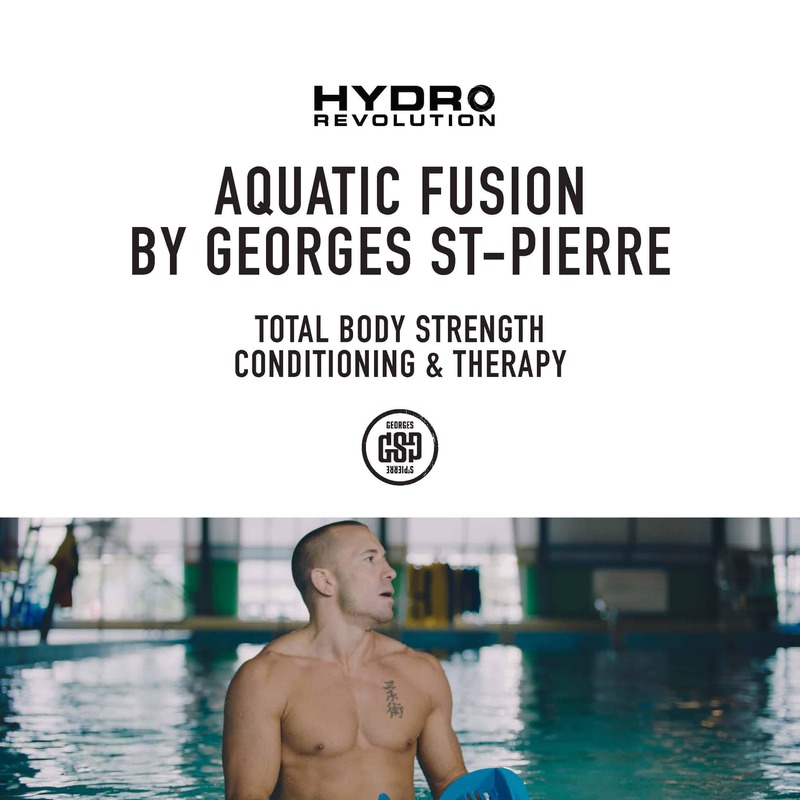 The GSP Total Body Bundle also includes the GSP Aquatic Fusion – Total Body Strength, Conditioning & Therapy Program (printable PDF with linked video clips).